Read through some of the reviews by previous Kirra Surf Apartments guests. Great location, friendly and helpful Staff, spacious apartments, amazing views, on-site secure parking. We have stayed many times and look forward to our next visit. Our first time at Kirra Surf and loved it! Spacious rooms and loved the kitchen/lounge/verandah area - very open. Onsite managers are very helpful too. I emailed a few times prior to staying and always received a quick reply. 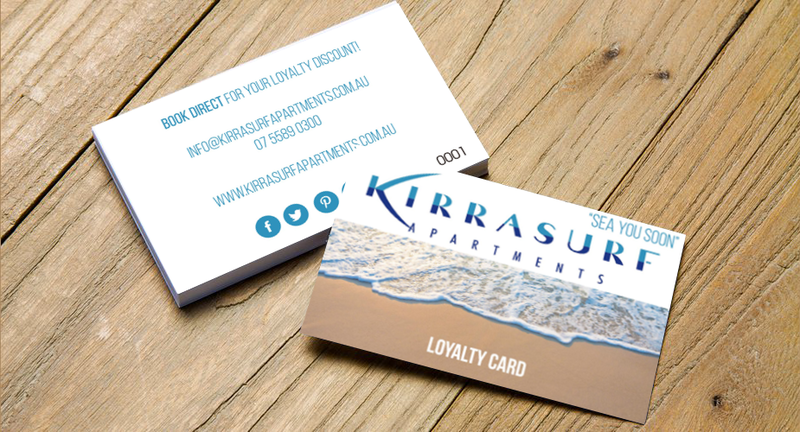 We first stayed at Kirra Surf Apartments in 2015 and fell in love when we first arrived. The management team are fabulous and do everything to help out. The location is PERFECT, the most amazing view from the beautiful apartments. We look forward to our time there again this year! We stayed on the 6th floor, very modern , clean, comfortable apartment. Fantastic view from balcony and the 3 bedrooms. Beds new and very comfy., new indoor lounge and outside furniture. Very quiet apartment, hear very little outside noise. Very close to the airport but no airport noise. Fantastic pool, nice and warm on the cooler days . Safe basement car park. Close walking distance to Coolangatta. Managers Ally and Rod went above and beyond to look after us. Can’t wait to go back with our friends . This place is absolutely amazing!! The managers are very hands on and cannot do enough to ensure that our stay here was truly spectacular!! Thank you Ally and Rod for making our stay so special and giving our family memories that we will treasure always!! We made a last minute phone booking & were flying in within hours. Staff explained the after hours check in & key collection process. We were blown away when we stepped into our 5th floor apartment. The views are 10/10, very clean, heaps of room, all necessities provided (shampoo, body lotion, soap, towels, extra blankets, tea/coffee), comfy beds etc. The master bathroom has a glass wall so you can take in the views of the coast while lying in the bath! Of course it has a blind for privacy. The spacious balcony was our favourite spot to sit & watch the world go by. Only missing a BBQ. The location was close to cafes (one directly in front of apartments), convenience stores, hotels, bus stop & of course the beach across the road. The Gold Coast Airport is a 5min drive away. Staying on Kirra beach allows you to walk into Coolongatta via a well designed walkway along the coast. The perfect accommodation in the perfect location! "Would not stay anywhere else on the Gold Coast"
This was the 5th stay at Kirra Surf there is not one thing to fault. The rooms are spotlessly clean. The views breathtaking. But the best part of the stay is the impeccable service that you receive from Ally and the team. This area of the coast provides a quieter more relaxed feel but yet is still close enough to all the action of the rest of the Gold Coast. One of the most beautiful places on the east coast of Australia. Just cross the road to enjoy the empty golden sands of Kirra Beach with its world class surf , cafes, restaurants and shops, all within walking distance, no need for a car. "The most helpful staff imaginable"
Booked in with family for a catch up and birthday celebrations, the staff Lauren Lucy and Ali couldn't have been more accommodating, no request was too much and their friendly natures beautiful smiles made our trip complete. What a fantastic resort. The apartments have spectacular ocean views from Coolangatta to Surfers. They are clean, bright and open. The resort is managed by the most bubbly and lovely lady with her husband and they absolutely go the extra mile for their guests. The kids were invited to enter a chocolate competition (they are all winners) and nothing was too difficult. If you are heading to the South side of the Gold Coast you should stay at Kirra Surf. We will definitely be back. We stayed for three weeks in March and this was the fourth year in a row that we have stayed at Kirra Surf Apartments. As always, we enjoyed it so much that we reserved two apartments for three weeks in 2018. The location is perfect for a Gold Coast beach location, well south of Surfers Paradise and just north of Coolangatta, close proximity to a number of restaurants in Kirra and Coolangatta, and of course the apartments themselves are spacious and well appointed. Finally, and most importantly, Ally and Lucy are always available to provide assistance whenever required. Beautiful apartment, fantastic views over the beach, lovely roomy apartment with everything one would possibly need, would highly recommend it. Kirra Surf Apartments are AMAZING!! Fully ducted air conditioned apartments with a spa bath. Everything from the comfy pillows to the cleanliness was top knotch. My family and i throughly enjoyed ourselves and left after our 3 day stay feeling relaxed. Will most definitely return. Thankyou Kirra Surf Apartments!! This is my 4th stay at the wonderful Kirra Surf Apartments and just love the apartments, the staff and the location. Staying this time with my sister for a bit of down-time and although we had a litlle problem with the air-con, Ally came to the rescue with no fuss at all - thanks Ally, you are an absolute gem!!! Will definitely be returning for holiday No. 5 in the near future!!! Lucy and Ally are the friendliest hotel staff i've ever met. the pool was a nice place for us to get a tan while our 4yo could play in the shallow area under our supervision. this place is impeccable n impossible to find any fault. but as mentioned by another reviewer, do bring your own eye mask if u want to sleep in as light does find its way into the rooms. What a fantastic place. We were in room 206. The 2 bedroom unit was spacious and well appointed. The view was incredible from the lounge and main bedroom. The balcony was huge with a 6 person table and 2 sun lounges. It's where we spent most of our time! The main bedroom was great with a spa bath in the ensuite as was the 2nd room with 2 single beds. The pool was delightful and with the beach straight across the road, it's definitely the place to go for a family. What made it more memorable where the ladies in reception. Super friendly and made us feel incredibly welcomed. Thanks for the tip on where to get the best fish n chips. Get Hooked was awesome. Will definitely go back and stay. One of the best places I have stayed in a long time. The apartments were all absolutely amazing. Every unit had a beachside view and at least one veranda to sit outside. In total we booked 14 units and everyone was extremely impressed with their unit. The staff have become like long lost friends. The staff were familiar with the area and were very helpful when we enquired on somewhere to dine and how to best get to different tourist attractions. I am looking forward to returning real soon. Our children, ages 9 and 11, enjoyed their stay at Kirra Surf immensely. Abundance of space, well-stocked kitchen(we cooked most of our meals), great location right across from the beach and nearby to grocery shopping, overall relaxing atmosphere. Would highly recommend! Had a great short trip would recommend staying here close to shopping and actives a stone throw from airport close to clubs public transport the cafe were terrific breakfast was delicious what more could you want. My family spent 4 nights here in a three bed apartment. The apartment had stunning views of the ocean as it overlooks one of the Gold Coast's best beaches. It is only a short walk to the patrolled section of beach or if you don't want waves the complex has a great pool. The apartment was very spacious, clean and well furnished and good value. The staff were extremely friendly and helpful. Will definitely stay here again particularly with the 10% discount for a return visit. Great location and views, just across the road from the surf beach. Good coffee in the cafe downstairs. Very helpful staff. Apartment was spotless and contained all necessary appliances. Could provide a little more detergent for washing up and leave a supply of staples in the cupboard. 5 minute drive from Coolangatta Airport. Close to the shops. Across the road from the most amazing beach. A slow walk to the access dining or the shops to top on supplies. In house was classy and the views spectacular. Such a relaxing place to stay. Room was very clean and beautifully decorated. Very quiet area with a short distance to beach and shops. Pool area was well equipped and has a great area for younger children to swim with the two levels in the pool! Modern and spacious room with sensational views of Kirra beach from the beautifully appointed and huge balcony. We lost track of time whale watching ! The infinity pool was great and all facilities were well kept.....we'll be back soon to the best apartments by far in the area. Kirra Surf Apartments were great. Kirra Beach is a nice quiet location. Close to Coolangatta shopping. The staff at Kirra Surf were great. Nothing was too much trouble and they were very friendly. The apartments were nicely decorated and had plenty of room We rented a 2 bedroom and a 3 bedroom. Would highly recommend staying there. Do yourself a favour and book at Kirrasurf. Ally and staff are amazing. The resort is clean and well decorated. We love it here and would not stay anywhere else. Nothing is too much trouble. We stayed in apartment 101 which was low level but still amazing views and the kids loved the plunge pool. The customer service was amazing. Such helpful friendly staff. Couldn't fault it. The room had spectacular views and was well presented. Good location and the pool was great for kids. Would recommend this place for everyone.